Various downloadable files and designs as a side project for you to use in your design assets and educational purposes. 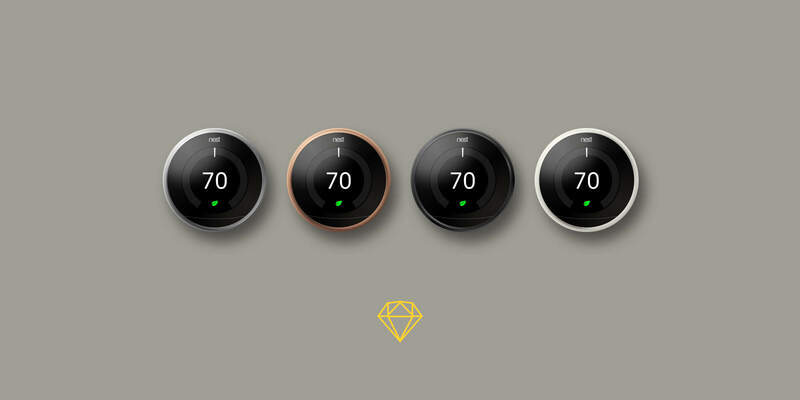 Recreating these Nest thermostat E renders is a simplified version of the original Nest Thermostat. The white plastic sides doesn't require details like the aluminum does, and without the sensor, the front frosted glass panel is easier to do as well. 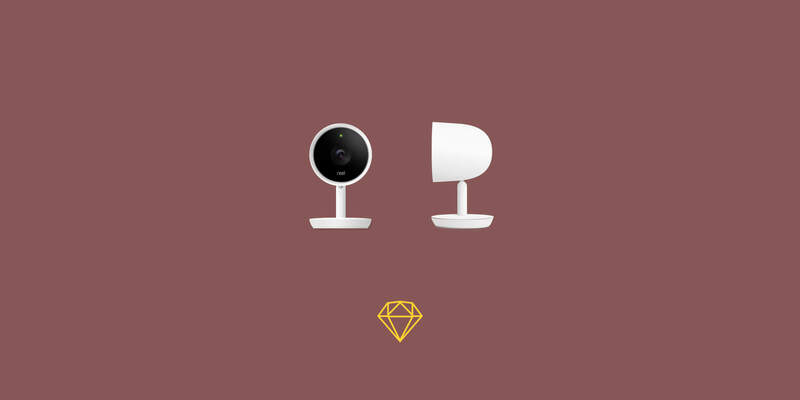 As a design exercise, I recreated these Nest Cam IQ. It taught me new ways to render metal, shadow, and white plastic in different lighting. In this file I made a front view and side view of the Nest Cam IQ. 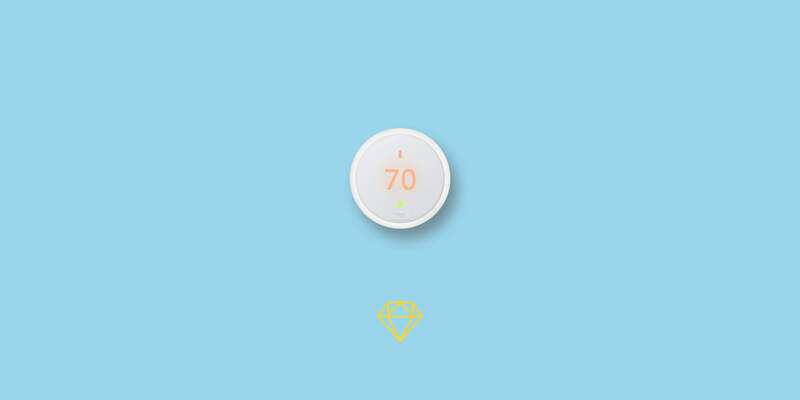 Recreating these Nest thermostat renders taught me the power of the tools in Sketch. The white dial, metal finish, and the glass panel gave me an opportunity to create a rendering in a circular form, which made its lighting effects require more intricate attention than any other aluminum device shapes. Recreating the Google Home is quite interesting. The flat shapes of he body is contrasted by the intricate detail of the mesh. So instead of creating a mesh from scratch, I used the pattern and created a somewhat close version to the real one. 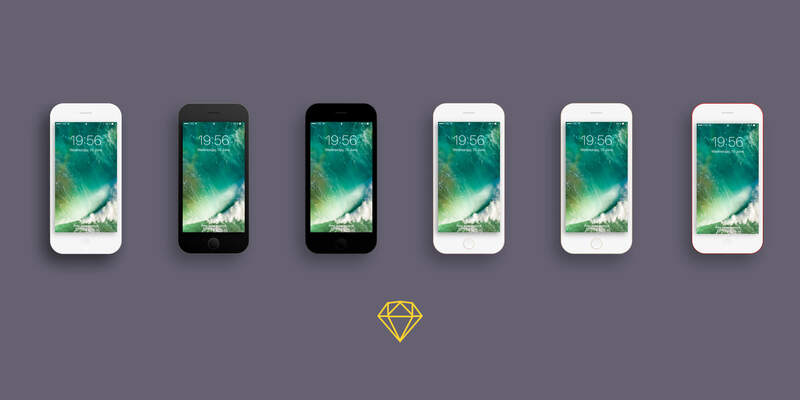 With option to insert your own design, the flat iPhone mockups is completely customizeable, with all the available colors for iPhone 7.